In Georgia the word Bebo is a short version of Bebia meaning grandmother. 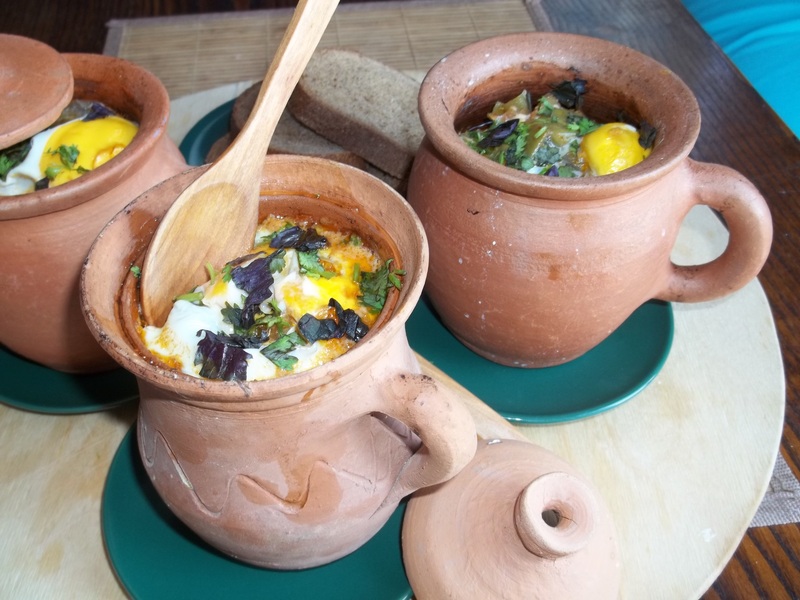 We asked a Bebo from the Racha(Georgian: რაჭა) region of Georgia for a recipe. Racha is a highland area in western Georgia, located in the upper Rioni river valley and hemmed in by the Greater Caucasus mountains. The main ingredient of Bebo’s Green Bean and Egg Bake is green beans. Ingredients (for 3 servings). 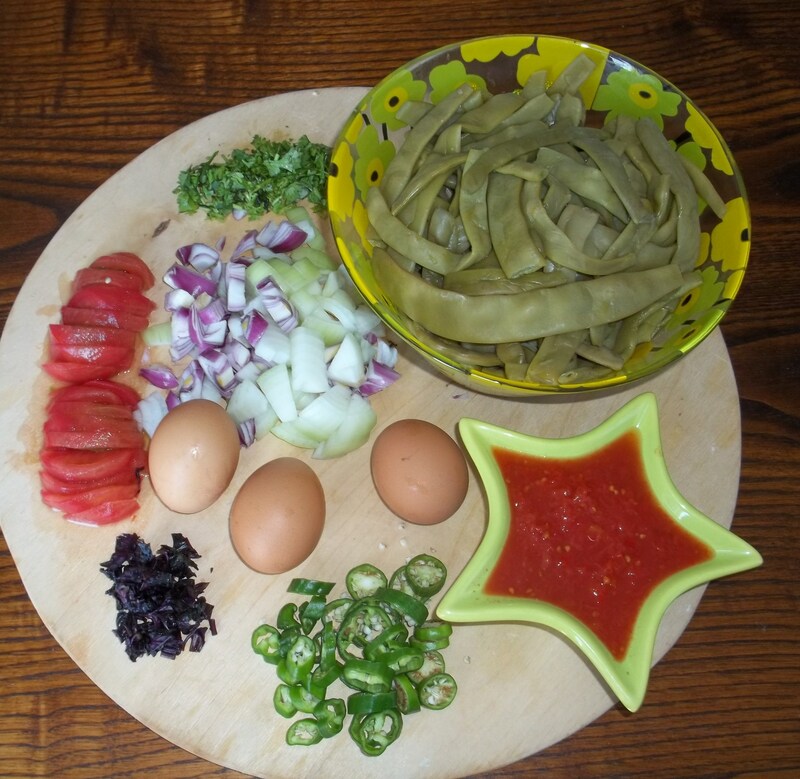 1 kilo of green beans, 1 large tomato, 100 grams of tomato puree, 3 eggs, 5 leaves of Basil, 20 grams of green coriander, 2 onions (we used 1 white and 1 red), 2 green peppers and 50 ml of sunflower oil. Preparation. Chop ends off the green beans and boil for 1 hour. Prepare vegetables as shown in the photograph above. Fry the chopped onions in a pan over a low heat. Add chopped tomatoes and tomato puree to the fried onions, keep stiring for 5 minutes. 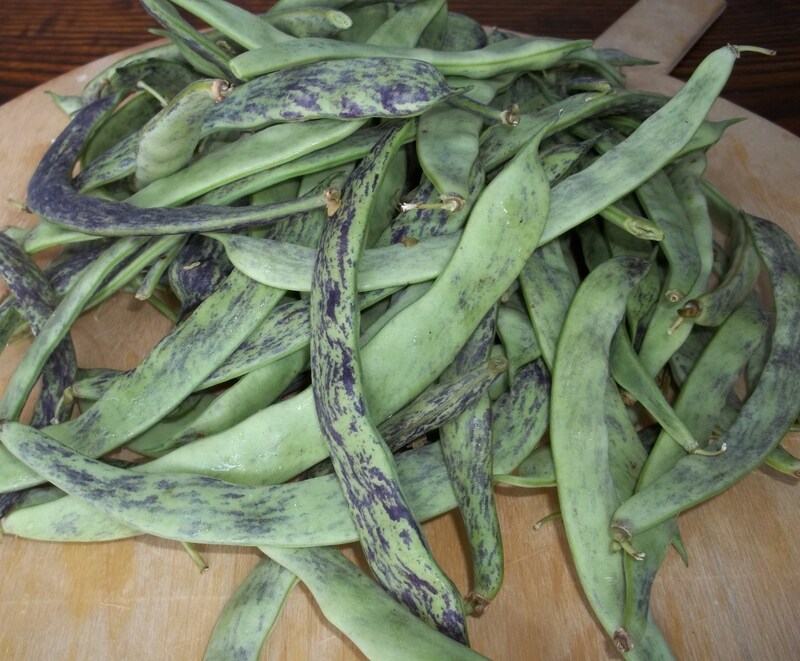 Drain water from the boiled beans and add beans to the pan of onions and tomatoes. Stir carefully to avoid mashing the beans. Add green chopped peppers, Basil and salt (according to taste). Stir until all ingredients are mixed but not mashed. When all of the ingredients are mixed turn off heat and transfer mixture to individual ovenproof containers. 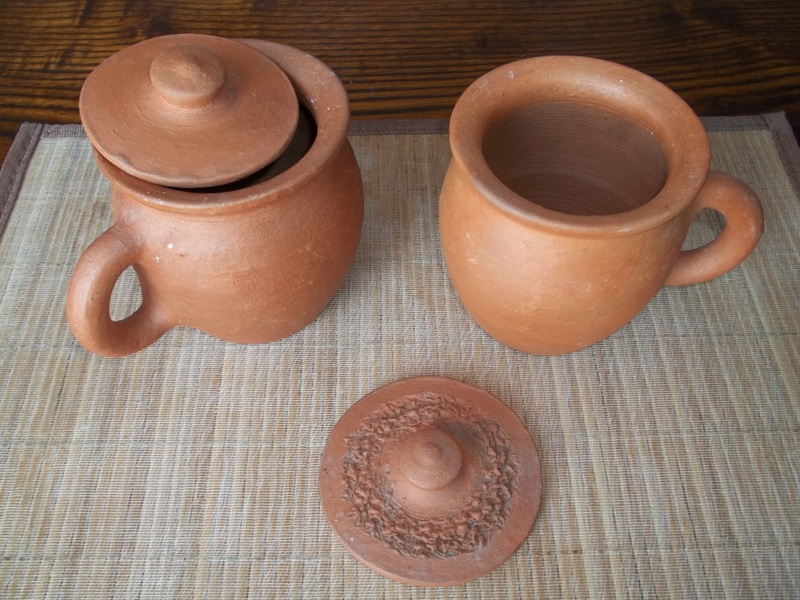 We used Georgian earthenware pots (ours are from a village called Shrosha in Imeriti region) to bake the individual servings. 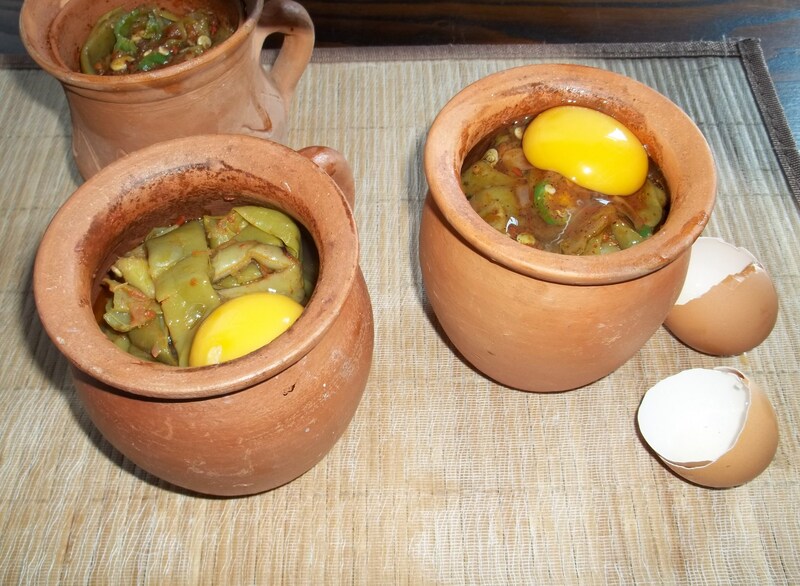 Earthenware pots improve the taste. When filling the containers do not fill to the top – leave a 2 cm space. Place the pots (or containers) in an oven (do not cover) and bake in a medium heat for 10 minutes. After 10 minutes carefully remove (they will be hot) and sprinkle with chopped green coriander and Basil. 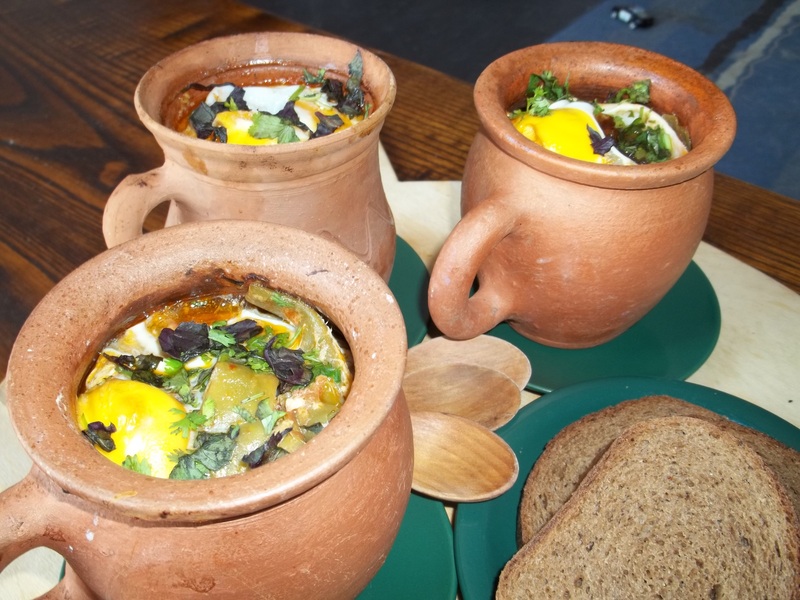 Now serve and enjoy the delicious flavors of Bebo’s Green Bean and Egg Bake!